I might not be any good at cooking but that doesn't mean I don't appreciate good food; I love eating well - I always choose locally produced, organic and seasonal food whenever possible - and I am a firm believer that high quality ingredients really do make the difference between an average meal and an amazing one. 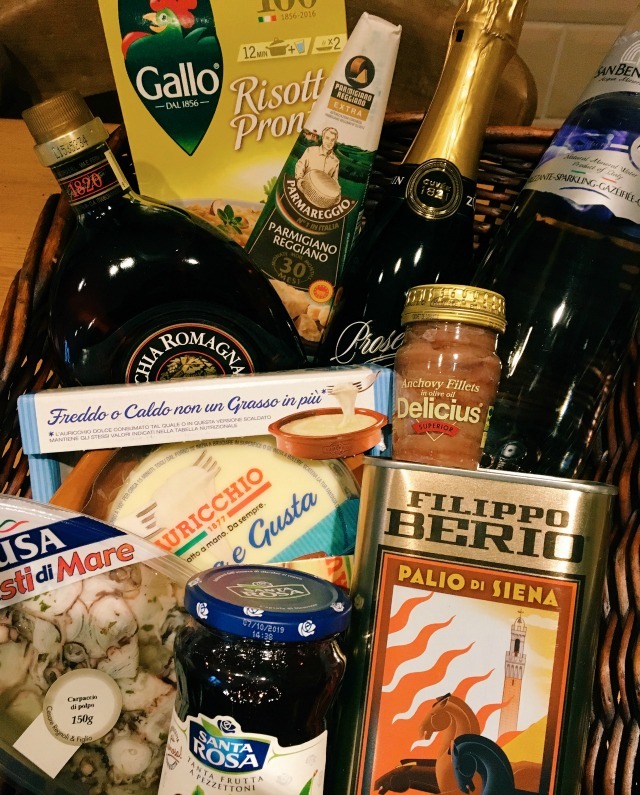 Recently, the lovely folk at Ciao Gusto Italy sent me a hamper full of amazing Italian delicacies, which I have been working my way through over the past couple of weeks (it's a tough job, but someones got to do it ;)). It really did reaffirm my belief that if you've got a couple of good quality ingredients, you can make the most incredibly tasty meal - and this should be music to your ears if you're a terrible cook like me but still want to feed your family well. 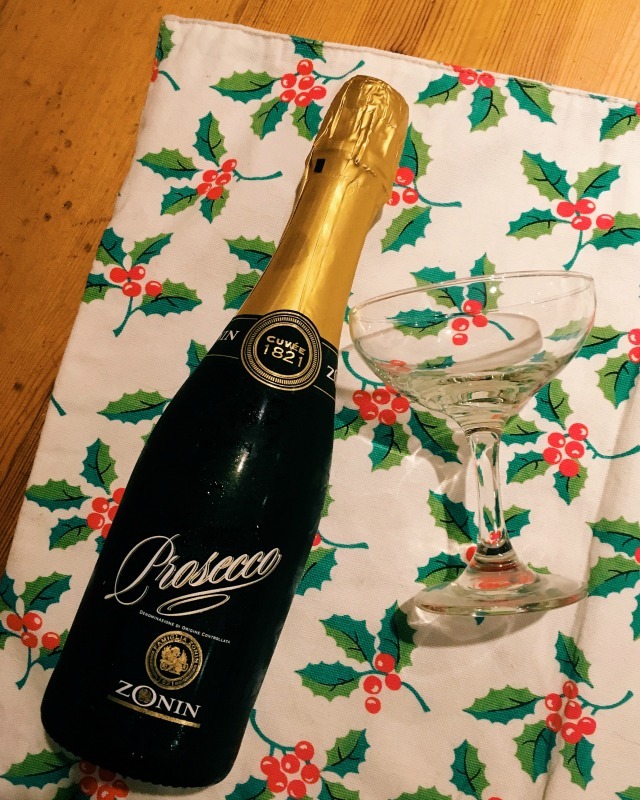 Zonin Valdobbiadene Prosecco Superiore (£14.49). This prosecco was so drinkable it was ridiculous! 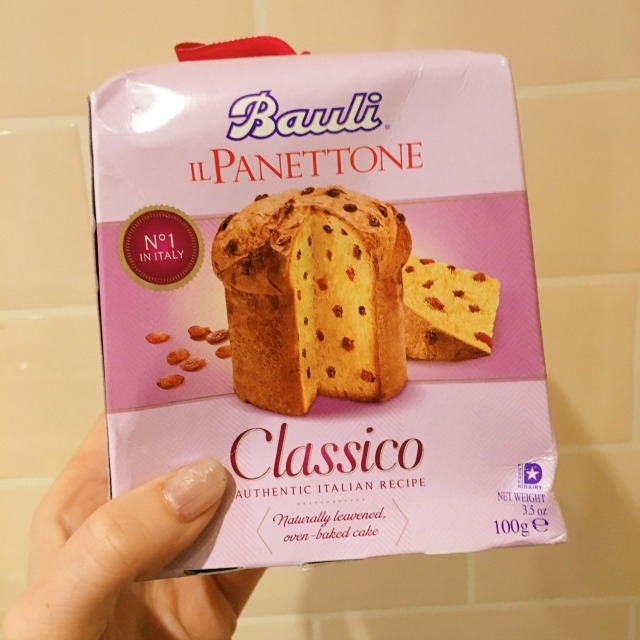 This classic panettone from Bauli - I have been known to eat an entire 1kg panettone in three days. Needless to say, this only lasted one sitting. It was amazing! 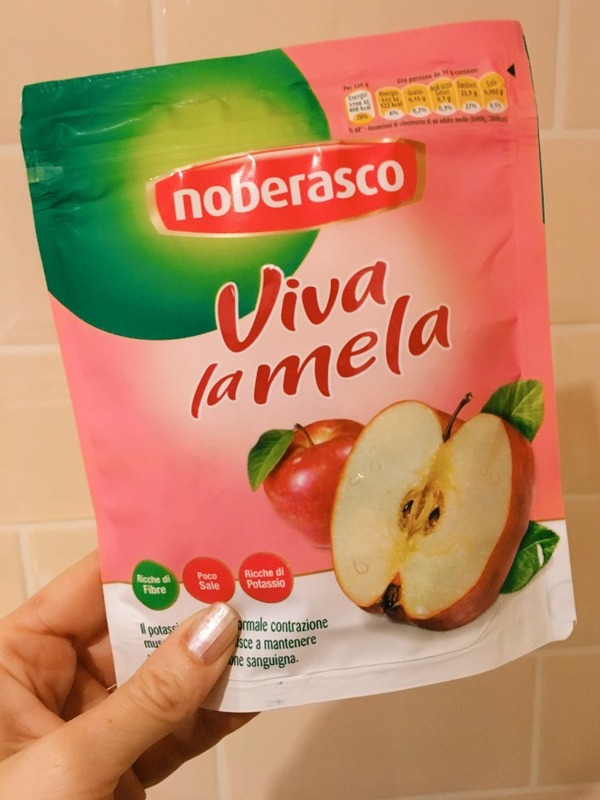 Noberasco soft apples (£1.36). These babies are rich in fibre and potassium and contain no added sugars, so they make a brilliant, sweet, after school snack. 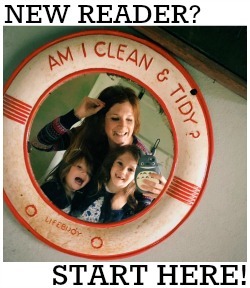 The girls love them too and they are now on our weekly shopping list. I also loved the Negroni salami Milano (£2.19) and managed to polish off the entire packet, by itself, within about 5 minutes of opening it (hence the lack of photo). 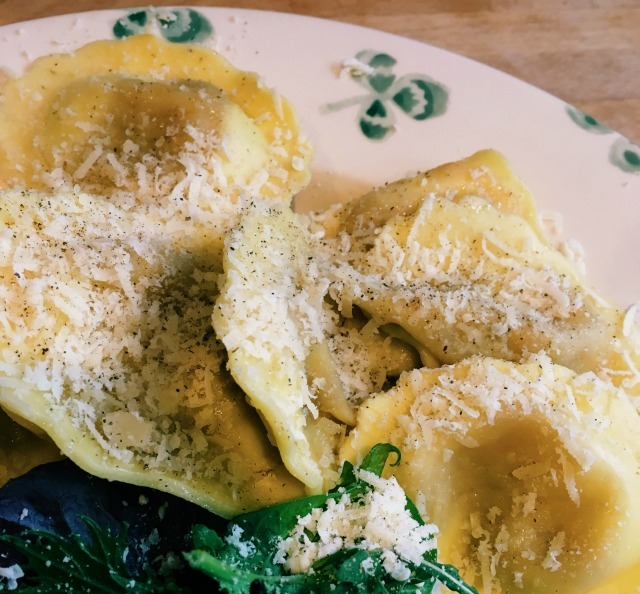 But my absolute favourites were the Giovanni Rana Beef + Mushroom ravioli (£2.49), the Filippo Berio extra virgin olive oil (£7.20) and the Parmareggio 30 month parmigiana reggiano cheese (£5.99). 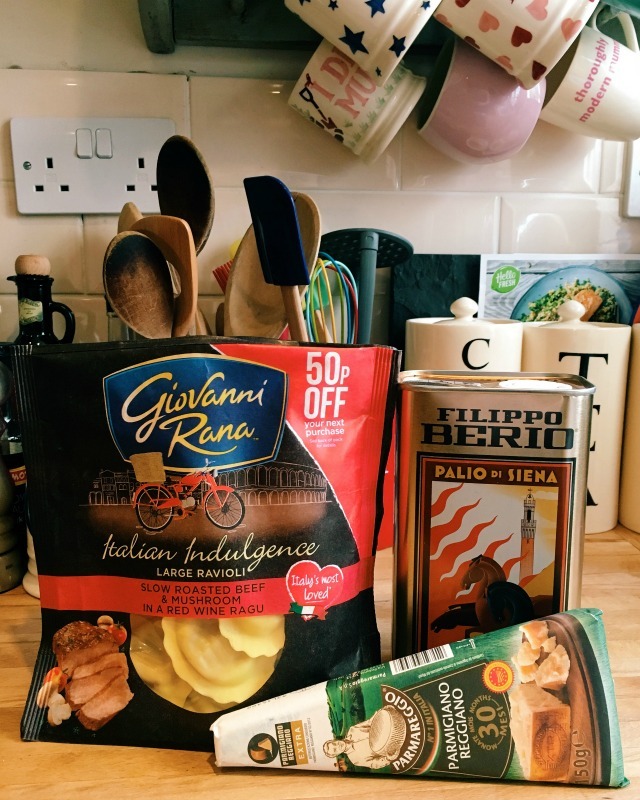 Three simple ingredients that, when combined, formed the most perfect, authentic Italian meal - and in less than five minutes too! Ciao Gusto is a family of high quality and world renowned Italian food and drinks brands, working together to spread the love of Italian food and culture! Find them online here, at Ocado here, and on Facebook here, Twitter here and Instagram here. 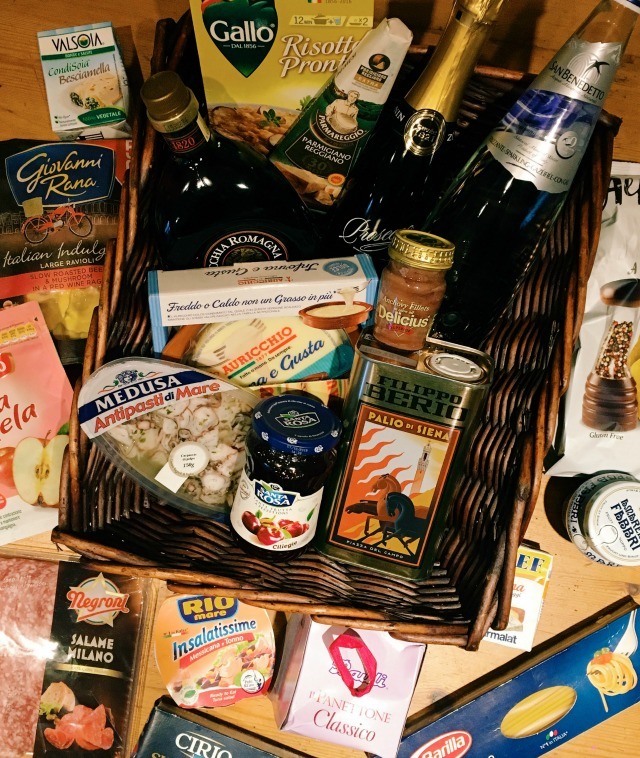 Many thanks to Ciao Gusto for sending me this hamper of delicious goodies!